COLUMBIA, S.C. — Lawmakers in South Carolina have re-introduced a bill that would protect the rights of teachers to participate in student-led prayers in public schools. A second bill is also stated to be in the works that would allow teachers to lead prayers as well. A Parent University Forum was held at Savannah Grove Baptist Church on Monday to discuss the proposals with the public. Several supportive lawmakers attended the meeting, and heard from both sides of the issue. “It’s sad that we have to introduce a bill that gives us a God-given right to start with,” Rep. Richie Yow, R-Chesterfield, stated, according to the Florence Morning News. As previously reported, the lawmakers likewise presented H.B. 3345 in 2016 and 2017, but it did not move out of the Education and Public Works Committee. “A teacher employed by a public school district may express a religious viewpoint, and also may conduct or participate in any student-led prayer or student-organized prayer groups, religious clubs, or other religious gatherings organized by students of a public school,” the bill reads. It states that teachers should have the right to engage in the free exercise of religion without retribution. Read the bill in full here. It is not clear whether the second bill has been filed as of yet as it was not located on the South Carolina legislature website. During the hearing, a Muslim man spoke against the proposals, stating that if the prayer is Christian, it could make those of other faiths feel ostracized. 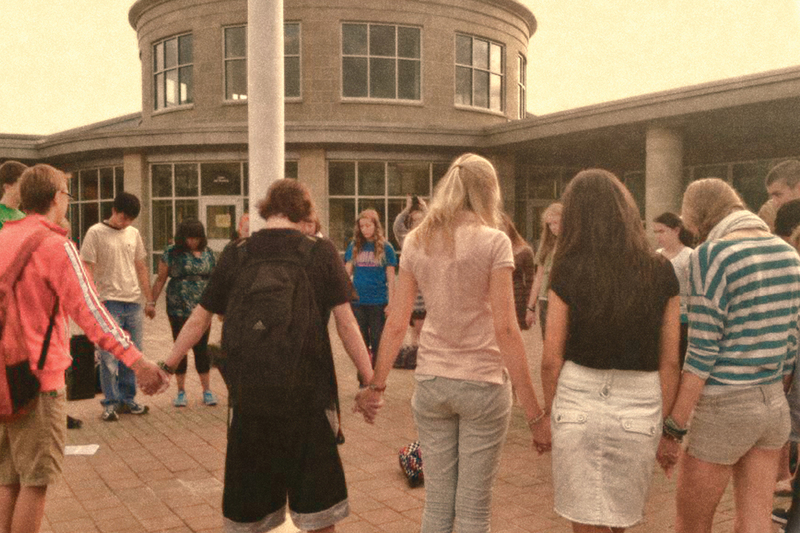 But one resident said that he wouldn’t feel left out if he saw a teacher praying with Christian students. “If my teacher, when I was in middle school, was praying at her desk or praying with a couple of students, and I was agnostic, atheist, Jewish [or] whatever—not a part of her prayer—I don’t think I’d feel intimidated or uncomfortable,” Alan Patrick stated, according to WSOC-TV. Reps. Mike Burns, R-Greenville; Steven Long, R-Boiling Springs; Todd Atwater, R-Lexington; Josiah Magnuson, R-Campobello; Rick Martin, R-Newberry and Ashley Trantham, R-Greenville, are co-sponsors of the bills. Several are active in their churches. “When we let God back in our schools openly, I believe we can expect God’s hands to grow our kids [into] what they need to be once again,” Cliff Leonard, pastor of New Providence Baptist Church, told WBTW-TV at the time.